The Charisma2018 conference is over but the coming out of Mark Driscoll as a charismatic leader is just beginning. Driscoll was one of the headliners at the Charisma2018 conference in Orlando FL held June 22-23. He’s a long way from The Gospel Coalition and Acts 29. Those were just seasons on the way to a new season. There were always signs and prophecies of this day: the demon trials, and the x-rated visions, but this season is now full with all that and a new book deal and a keynote. Yesterday, former colleague and co-pastor at Mars Hill Church Sutton Turner provided a little insight into the last days of Mars Hill. I suspect more is coming as Sutton gets more comfortable talking about what was up back in Seattle. In 2014, I could not get a comment from anyone at Mars Hill Church in Seattle about anything. I am sure that most of the leaders there saw me as a serious problem since I wrote so much about the church and problems in leadership there. Eventually, the church closed and distributed assets to several autonomous churches which had been part of the Mars Hill network of locations. 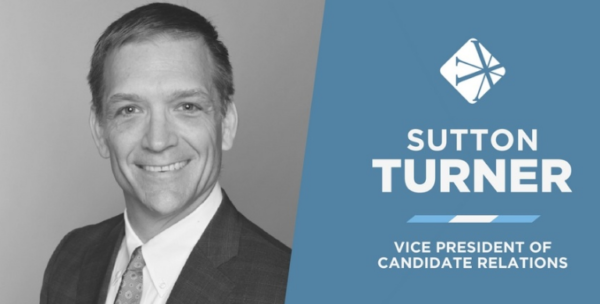 Sutton Turner was one of the executive pastors who presided over growth and decline of the church. Since the closing of the church, Sutton and I have had several friendly conversations about the church and his role in the situation. Because of that, I felt comfortable calling on him to discuss a recent positive move in his life. Yesterday, I saw an announcement that Sutton has joined Vanderbloemen Search Group, a Christian job search company as Vice President of Candidate Relations. In the announcement, Mars Hill Church is mentioned but there is no direct mention of the downside of the organization. Curious, I asked Sutton some questions about what he had learned at Mars Hill. He was kind to answer them today. Throckmorton: In the Vanderbloemen announcement, what you learned at Mars Hill is credited with fueling your passion for healthy churches. Could you expand on that? Turner: I have 23 years of experience leading different organizations in business and ministry. I have seen the best and worst cultures. I have been a part of start-ups where I was able to create the culture and walked into cultures that I did not create but tried to improve. All leaders find themselves in these two categories today. After Mars Hill was divided up into independent churches in 2014, I began to meet with former members and staff from Mars Hill who wanted to meet with me. I had moved to Texas, and some of these conversations first took place on the phone. I also flew back to Seattle several times at my own cost. Many people were former members before my time and Mars Hill, some were leaders that worked alongside me, and some were faithful members of the church. The deep hurt felt by these members over the loss of their church cannot be understated. It was a HUGE loss in their lives that continues today. It affected their kids, marriage, and community. Some people walked away from attending church all together from their Mars Hill experience. These face to face meeting profoundly affected me and motivated me to help avoid another Mars Hill experience in the future. I then wrote a series of blogs in 2015 to bring another perspective to what happened at Mars Hill and perhaps help others in their healing process. Over the last year, I read William Vanderbloemen’s book “Culture Wins.” I absolutely love the focus around creating a great environment and culture of an organization. William’s company, Vanderbloemen Search Group (Vanderbloemen), has a great culture and wants to help other organizations create culture. I am grateful to be able to join a culture and company trying to help others. Vanderbloemen provides search and consulting for churches, non-profits and mission-based businesses. As I join Vanderbloemen, I hope to use all of my experience to assist other leaders and organizations. However, my first role at Vanderbloemen will be to improve the efficiency and effectiveness of their search process. Throckmorton: Many on the outside and inside at the time have questioned the health of Mars Hill. First, do you agree that Mars Hill while you were there was not a healthy church? In what ways did that lack of health manifest itself? Turner: I believe until we get to heaven, there will not be a “perfect church” with a “perfect culture.” All churches have areas to improve, just like all Christians have areas to improve. I loved Mars Hill and I love the people of Mars Hill Church. During my time there, I saw a faith family grow in their knowledge of the Bible, their heart for worship, and their service to others. But Mars Hill had many areas to improve that were never addressed, some of which led to its closure. Culture quickly is created by the decisions of leadership, and once the culture is created, it is very difficult to change. Culture can be changed, but it takes committed leadership to make that happen. I am planning another trip back to Seattle this fall to meet with more leaders and former members to continue the healing process. I hope to continue to learn from what happened at Mars Hill and use this experience, along with my other leadership experiences, to help churches, non-profits and mission-based businesses while at Vanderbloemen. Throckmorton: What can you tell us about what you learned in your position at Mars Hill which can help you help others develop a healthy church? Turner: Over the last 4 years, I have studied the culture from Mars Hill and talked extensively to people that were negatively affected by the culture and its leaders. I am building a set of material from this research to help other organizations which I have shared with several pastors and leaders. They have identified one or two of these areas they see in their own church culture that needs improvement. I hope to use my experience to help other leaders and pastors in the future while at Vanderbloemen. Throckmorton: The growth of the church was remarkable, and yet the implosion was also remarkable. What observations can you offer about the rise and fall of Mars Hill? I have written about my personal journey of repentance and forgiveness (Part 1 & Part 2). Many will say that Pastor Dave and I did not do enough to change the culture; which is fair and certainly true, but only those who worked within the inner circle know how hard we tried. Right now, I continue to research and document what I have learned from the Mars Hill experience. I continue this effort to help people heal and help other leaders learn from the culture of Mars Hill. No one wants to see what happened at Mars Hill ever happen again. As a leader that was front row to the last 4 years of the church and created the plan to disband the church into independent churches, I have a good perspective to hopefully use my experience to help others. These are probably hard questions to answer. 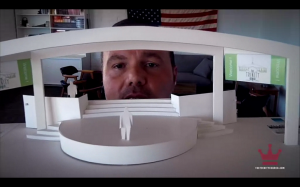 It is difficult to address the culture at Mars Hill without talking about Mark Driscoll. Although much water is under the bridge, Turner gives witness that there are still people who went to Mars Hill who are not over it. There is unfinished business for Driscoll to attend to in the Northwest. On the bright side, in 2014 I never thought I would be reflecting back on Mars Hill with Sutton Turner (I have also had some nice exchanges with Dave Bruskas). Tullian Tchividjian is coming back with a new edition of his book Jesus + Nothing = Everything. The press release announcing the book just came out and is below. It was released first to Publisher’s Weekly. That publication has a story up about it here. Tullian Tchividjian had sold over 80,000 copies of Jesus + Nothing = Everything when his life and ministry fell apart; now Fortress Press is publishing a new edition of that book. MINNEAPOLIS, MN – Tullian Tchividjian, a grandson of Billy Graham, was the pastor of a Florida megachurch when he lost everything in 2015 due to his marital infidelity. When his infidelity surfaced, Tchividjian lost his ministry, and his best-selling book Jesus + Nothing = Everything was taken out of print. After careful consultation with his pastoral counselor and other mentors, Fortress Press is confident that Tchividjian has repented of his past indiscretions and has put himself under the authority of trusted Christian leaders. Fortress Press plans to release Jesus + Nothing = Everything in Fall 2018, featuring a new introduction from the author, addressing what has happened in his life since the book was originally published and how the message of God’s grace has sustained him over the past three years and continues to sustain him daily. An interesting blast from the past is to note that the individual who sent this presser is Tony Jones. Jones, no stranger to controversy himself, was once a fellow Patheos blogger and is now the Director of Acquisitions at Fortress Press. Unlike my blog, his is still up at Patheos, although he doesn’t contribute to it. He then moved it here but apparently doesn’t write much there either. This book was once published by Crossway Books but when the news of Tchividjian’s affairs surfaced, the rights to the book went back to Tchividjian. It has been out of print since then. Since 2015, I have investigated the mission giant Gospel for Asia. First privately and then publicly, former employees of GFA sounded alarms about financial and personnel management. A former donor alerted me to the situation and eventually numerous insiders in India and the U.S. came forward with information about the second largest mission organization in the U.S.
At present, former and current leaders of GFA are defendants in two lawsuits which allege that they conspired to defraud donors by using donations in ways contrary what donors intended. One case is stalled in federal court but the other — Murphy v. GFA — is moving forward. At the heart of Murphy v. GFA is the allegation that GFA didn’t use donations as donors intended. The judge in the case, Timothy Brooks, ordered GFA to produce documentation which could address this basic allegation. Because GFA has not produced documentation responsive to Brooks’ requests, he signaled his intention to appoint a Special Master to oversee the discovery process. Although the federal suit is potentially more serious, GFA has been investigated on these allegations before. In 2015, the Evangelical Council for Financial Accountability investigated GFA’s financial dealings and eventually evicted GFA from membership due to multiple violations of ECFA standards. Prior to removing GFA, the ECFA prepared a report of their investigation which was provided to GFA board members. The report was written in the form of a letter dated September 2, 2015 to GFA founder and president K.P. Yohannan. Former board member Gayle Erwin provided it to me after his resignation from GFA’s board. Periodically over the next few weeks, I am going to highlight aspects of the ECFA report which are relevant to issues raised in Murphy v. GFA. This is especially relevant to the decision of GFA attorneys to ask the 8th District Court of Appeals to force Judge Brooks to withdraw his sanctions and not appoint an attorney to oversee the discovery process. 6. GFA solicits funds for narrower purposes than the eventual expenditure of the funds. During ECFA’s review on August 12, GFA staff provided a document to demonstrate the flow of funds from GFA to field partners. ECFA learned that donor-restricted donations are appropriately tracked by particular revenue classifications. However, we also discovered, and it was confirmed by GFA staff, that the disbursement of the gifts are tracked in much broader categories. For example, donations were received and tracked for 38 different specific items including kerosene lanterns, bio sand filters, chickens, manual sewing machines, blankets, bicycle rickshaws, and others, but related expenses were only tracked as “community development.” In other words, donations were raised for 38 specific items, with the donations pooled for expenditure purposes instead of expending them specifically for the purposes raised. ECFA did not find any evidence that donors to the 38 different giving categories had awareness that their gifts were grouped and used in a broader category than the specific categories in which the gifts were raised. ECFA’s staff raised concerns regarding GFA’s compliance with ECFA Standard 4, 7.1, and 7.2 in raising funds for a particular purpose but then failing to document the actual use of those funds by the particular donor-restricted purpose. Subsequent to this conversation, on August 16, GFA staff indicated that GFA field partners will begin tracking expenditures by specific item accounts to provide adequate transparency as to the use of designated funds. The Murphys donated $34, 911 to GFA between 2009 and 2014. According to the information provided by GFA to the ECFA, expenditures were not tracked by specific item accounts until at least after August 2015. GFA led donors to believe their donations would go for one of 38 items, but GFA did not track the way those funds were spent to know if the funds were spent as intended. “Community Development” is a label which could obscure many activities and allow GFA’s field partners to spend money on things not contemplated by donors. This admission by GFA staff, some of whom are defendants in Murphy v. GFA, seems particularly relevant to the discovery process but has not been disclosed to the Court by GFA’s attorneys. Presumably, when this case gets to trial, the ECFA report will be entered into evidence. It might be that ECFA staff who were involved will be deposed. Eventually, the admissions made by GFA staff regarding the same questions at issue in this trial will come out. On June 18, Gospel for Asia’s legal team took the extraordinary step of petitioning the 8th Circuit Court of Appeals for writ of mandamus which, if granted, would vacate Judge Timothy Brooks’ sanction of GFA and his order for a Special Master to oversee discovery in the fraud case against GFA brought by Garland and Phyliss Murphy. Earlier this month, Brooks found that GFA had willfully delayed discovery and failed to comply with court orders. In response, he sanctioned GFA and signaled his intention to give an attorney access to GFA’s records as a means to speed up GFA compliance with court ordered discovery of information in the case. Despite being a nonprofit organization, GFA has faced repeated questions and frustration from Judge Brooks over the inability to produce sufficient responses to discovery requests. Now, with the prospect of additional transparency, GFA is seeking to have the action reversed through the Court of Appeals. In their June 18 filing, GFA defendants claim that Judge Brooks should not have sanctioned them because they have done their best to produce documents showing how they spent donor funds. Judge Brooks recently ruled that GFA had not done enough and abused the discovery process. As a result, he sanctioned the mission group. GFA now counters by claiming that Judge Brooks erred by assuming GFA leaders in the U.S., namely K.P. 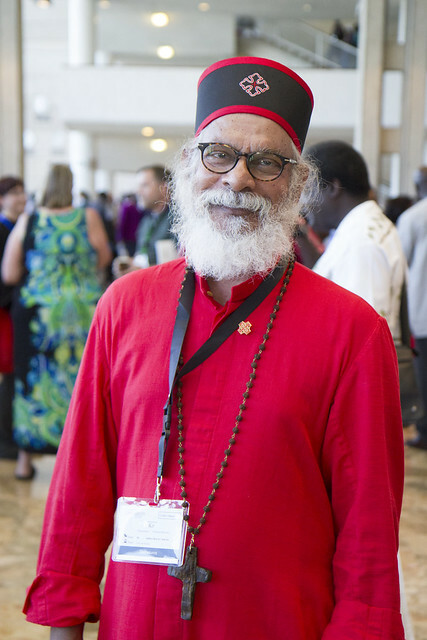 Yohannan, have more control over operations in India than they actually do. GFA attorneys claim Brooks presented no evidence that Yohannan has the power to compel the production of necessary documents. GFA also claims that Judge Brooks did not adequately take into consideration the burden of discovery as compared to the claims raised by the case. Specifically, the Murphys donated nearly $35,000 but the discovery requests involved over $360-million in donations. As explained in opposition to Plaintiffs’ certification motion, GFA encouraged donors to participate in the good works GFA was sponsoring in Asia, but it’s the representations it made to donors varied. ECF73. For example, GFA told many donors that “100% of what you give toward sponsorship goes to the field,” ECF1, ¶17, but donations must be made “without restrictions” with GFA retaining discretion to use donations to best fulfill its mission. ECF71 at 4. There was no guarantee that each of the $376 million donated would be used for its exact designated purpose. There is little dispute that GFA frequently touted their claim to spend 100% of donations on the field. This became a point of contention after concerns about their spending practices in India became public. After that, GFA made some changes which allowed them more flexibility. Use of funds restricted for the field for other purposes. On June 3, ECFA discussed GFA’s claim that 100 percent of field funds are sent and used in the field. GFA staff confirmed that this was accurate. On August 24, ECFA was informed that GFA India made a gift to GFA of $19,778,613 in 2013 to complete GFA’s new office. On August 27, GFA’s staff confirmed that the funds relating to this donation were originally received by GFA as gifts restricted for the field and GFA transferred to field partners to fulfill donor restrictions. Reallocating gifts donated for field purposes contradicts GFA’s claim that 100 percent of funds are sent to the field. In fact, a significant amount of donations restricted for the field made a circuitous trip back to GFA and were used for the headquarters construction, as though they had never gone to the field. This appears to be a violation of Standard 7.1. GFA claimed that the field partner (presumably Believers’ Church) took out a loan to pay back the $20-million and then used field generated money to pay back the loan. If that is the case, then it should be a simple matter to produce the documents. Our field office is also audited by an independent accounting firm, to ensure compliance with regulations governing the recognition and spending according to donor designations of monies received. While I don’t know if these audits have been offered as a part of the discovery process, I have to wonder if they actually exist. Plaintiffs did not introduce evidence to prove that Petitioners had control over the documents in India. Instead, the court’s decision relied on what it termed “the power of the pursestrings.” A00262, A00360. Because GFA made large donations to third parties in India, the court assumed that Petitioners could compel the third parties to produce the documents Plaintiffs wanted. The court’s assumptions are no evidence of control, regardless of which standard is applied. Note here that GFA does not offer any evidence that Yohannan is without authority in India. Instead of asserting something, the attorneys simply cast doubt. 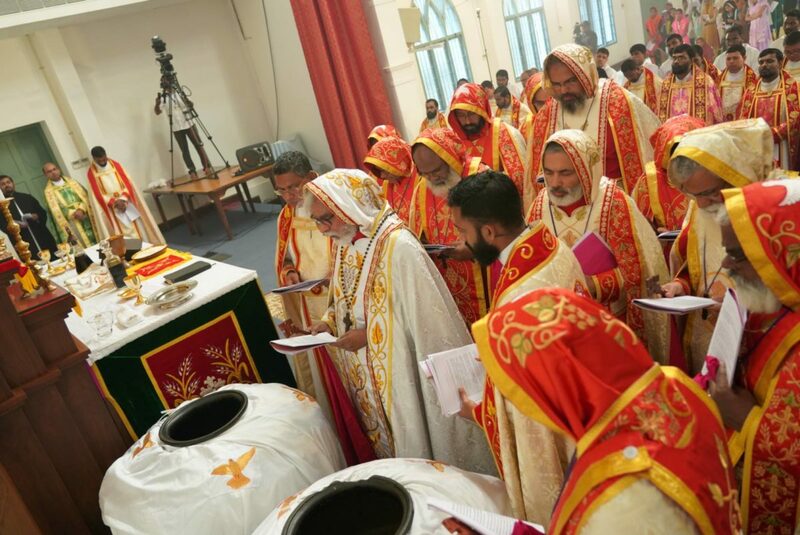 Why has GFA not produced documents describing Yohannan’s role in India? The only Constitution which can be found designates him as the supreme authority over all matters temporal and spiritual. He doesn’t just hold a “prominent position;” Yohannan is the supreme leader. Yohannan’s son-in-law Daniel Johnson is on the board of Believer’s Church as is Yohannan’s niece Siny Punnose. Yohannan sits on multiple boards of the hospitals, schools, Bridge of Hope, and other entities in India and around the world. Yohannan’s name is on all of the deeds of property owned by the church. 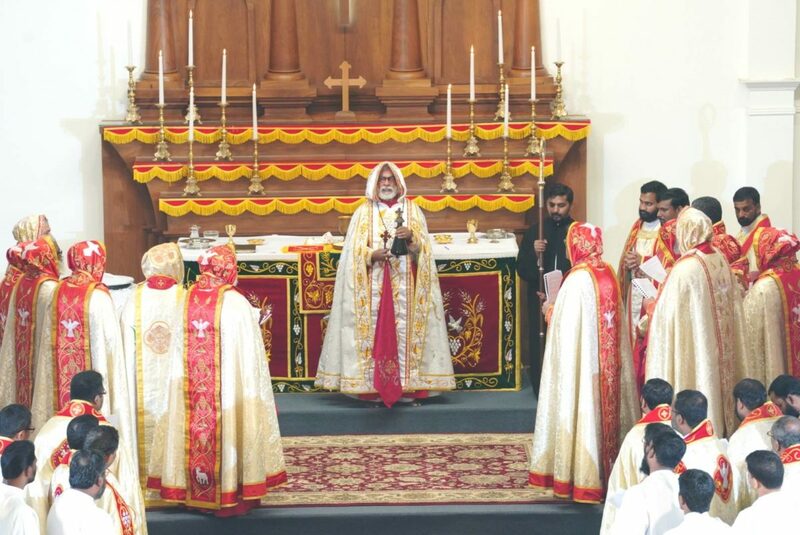 By virtue of the ecclesiastical position, the Metropolitan Bishop is the legal authority on everything that belongs to the Church. Based on this level of oversight and control as well observed during our review, ECFA staff questions whether GFA has a sound basis to disclaim any control over the activities of field partners. In some respects, the ECFA investigation was a preview of the Murphy case. If the RICO case turns out like the ECFA investigation, GFA might want to consider a new legal strategy. I thought immediately of the Milgram experiment when I saw this interview with Tom Homan the Acting Director of Immigration and Customs Enforcement. In 1961 and 1962, social psychologist Stanley Milgram wanted to know if average Americans would follow the orders of an authority even if those orders led them to harm fellow research subjects. Milgram created an elaborate ruse to fool volunteers into thinking they were giving electric shocks to an accomplice of Milgram. Milgram created an experimenter role, an actor who had to learn word pairs, and the actual subject who had to teach the actor the word pairs. When the teacher thought the learner (the actor) got an answer wrong, the experiment called for the teacher to shock the learner for the wrong answer (who the teacher thought was strapped into a chair). The teacher-subject thought the shocks increased with each wrong answer until the learner finally indicated that his heart was hurting and wanted out of the experiment. No shocks were actually being delivered. However, the teachers thought they were actually giving shocks. The experimenter was in the same room and exhorted the teacher to continue with the experiment over the loud protests of the actor-learner. Milgram’s question was: Would these average citizens continue giving what they thought was painful shocks to a helpless fellow citizen based on the direction of an authority figure? There were various trials but about two-thirds of the subjects shocked subjects to 450 fake volts because they thought the experiment required it. Now, ICE officials and workers at the border are refusing to take responsibility for their actions and saying that they do what they do because of the law. One of the factors that social psychologists typically point to is the defusing of responsibility. In the replication of the Milgram experiment, follow up interviews of subjects really highlighted this factor (Watch this clip to see subjects placing responsibility on the experimenters). I realize that a person cannot just stop doing a job that is needed to support a family. However, over time, there are whistleblowing mechanisms in government and the ability to go to the press. Mr. Homan paused several times before he answered and fell back on the a frighteningly familiar rationale for doing something that has people on the right, left, and center ready to march. How long will GOP politicians, ICE officials, and workers do what they believe their authorities tell them to do? The Milgram experiment is an enduring caution that Americans are not immune to cruelty and defusing responsibility in ways that can lead to further tragedy. 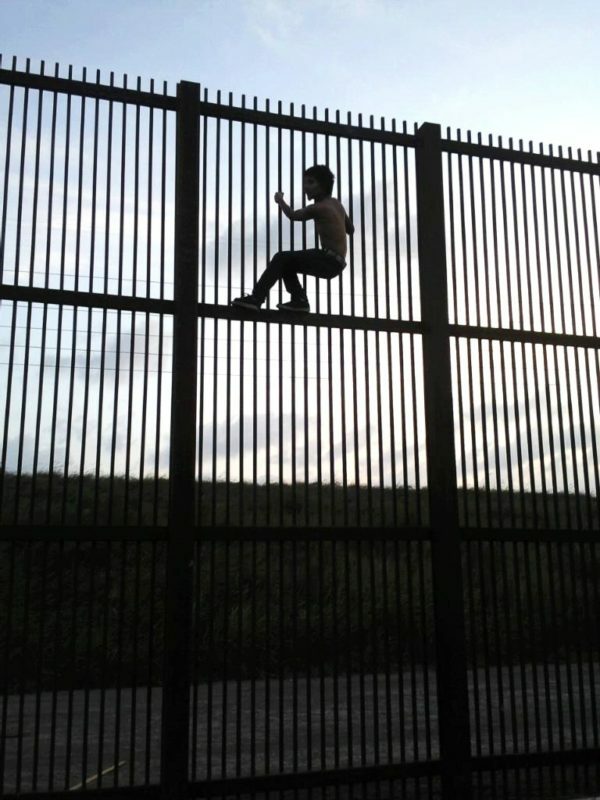 I think we are already there on the border and need to end the Administration’s zero tolerance policy now. It is inhumane. Social psychologist Jerry Burger and ABC News reported on this replication in 2007. 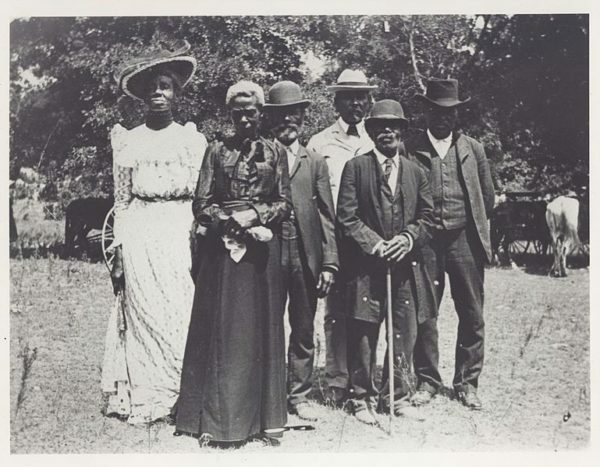 Happy day to celebrate the end of slavery in the U.S. Juneteenth is a holiday in 40 states; here is a tweet from Jamar Tisby which links to an article which makes a case for Juneteenth as a national holiday. Whether Juneteenth should be the day or another day should be designated, there should be such a holiday to commemorate the end of slavery. Author Warren ThrockmortonPosted on June 19, 2018 June 19, 2018 Categories HolidaysTags Juneteeth2 Comments on Happy Juneteenth!